We visited this adorable Tiverton home in April of this year, and fell so in love with all its coastal charm. Every corner of the hut is decorated to perfection- with sweet amenities like beautiful florals and local bites to nibble on upon arrival; beside lavender oil and cozy robes; board games for the whole family; and a pink pong table in the bunk room. The Moore family is great at entertaining- and in addition to stocking the hut with everything you’d need for a great stay, they can also arrange an array of activities for you, both in the hut and around Tiverton. Most of the activities are seasonal- beach picnics, boat outings, lobster boils. But there are a few you can enjoy year round, like cocktail making classes and dinners at home with a private chef. 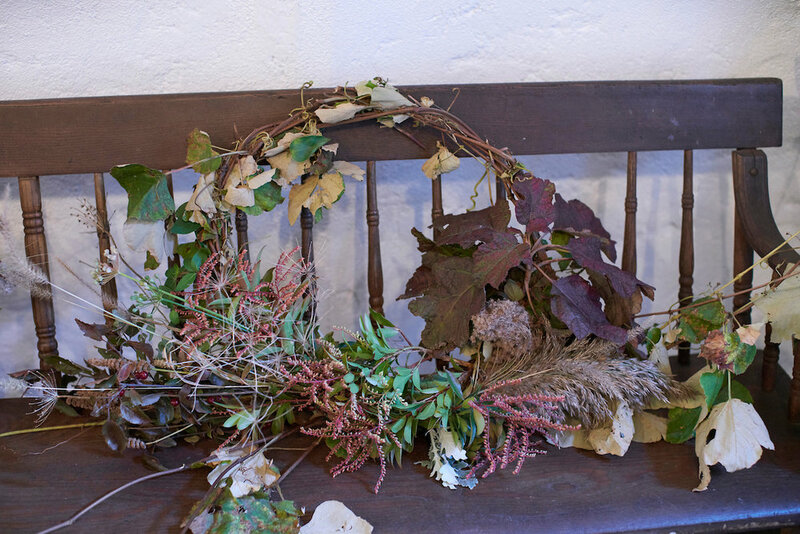 This trip we treated ourselves to a floral workshop with Phoebe from Weatherlow Farms. 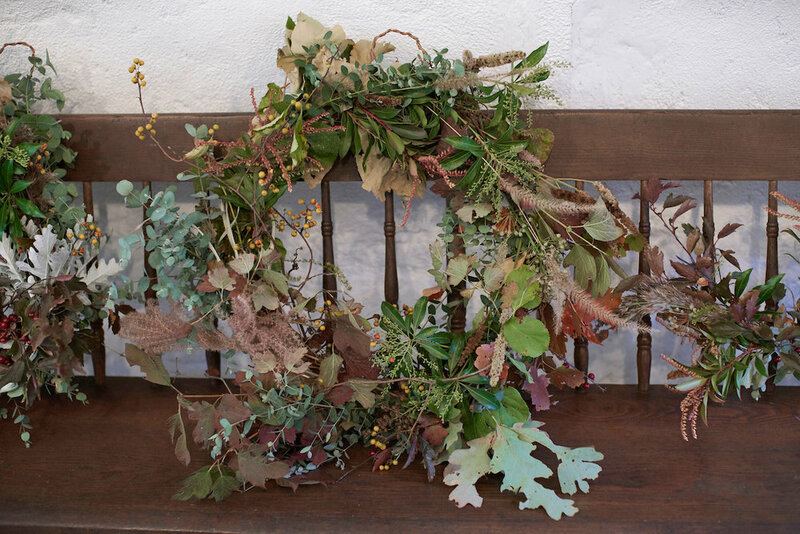 We popped the bubbly and spent the afternoon creating seasonal wreaths together- Maddie and Phil, included. And, if I’m being honest, my husband might just take the cake in the wreath-making department. It was a great way to spend a cozy fall afternoon, and the perfect way to bring a little piece of Tiverton home with us.